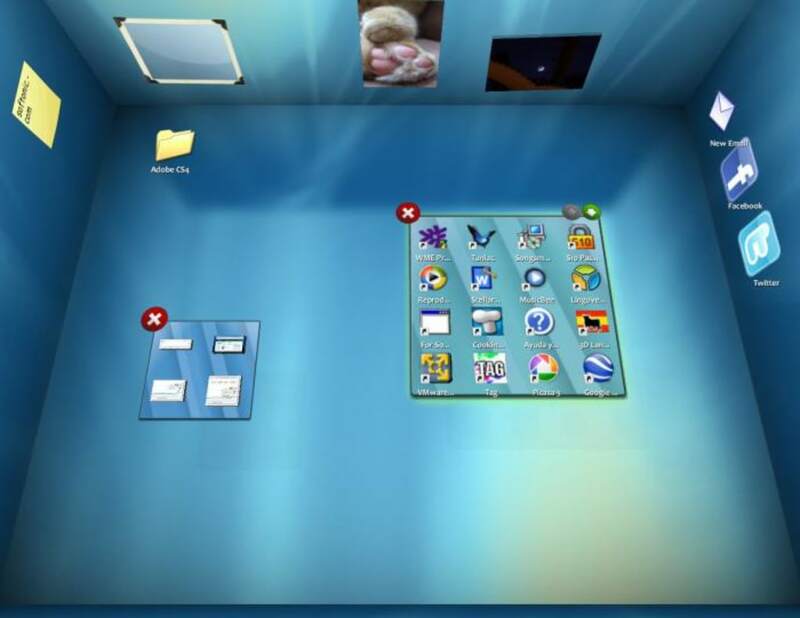 If you're tired of your Windows desktop and changing the wallpaper doesn't work anymore, try going for the third dimension! 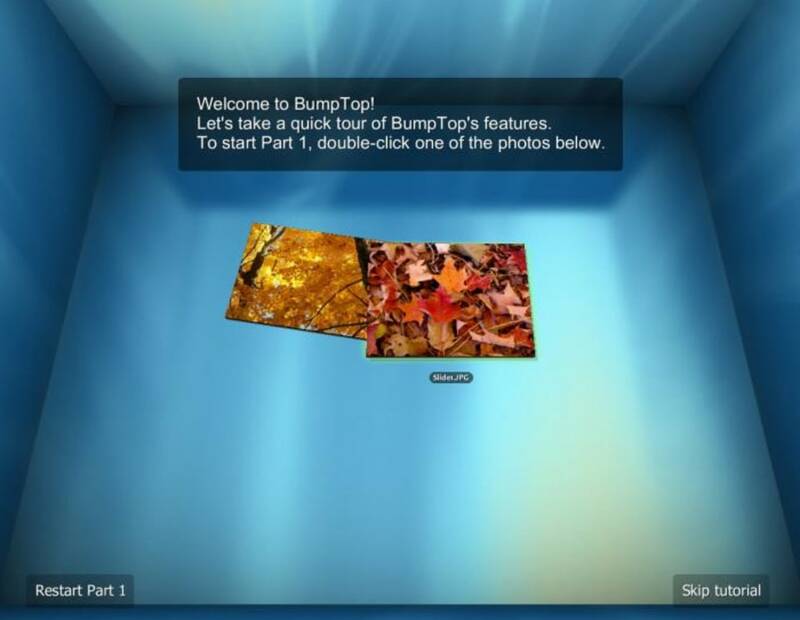 BumpTop is an alternative three-dimensional desktop that lets you manage icons and files in a totally 3D environment that also follows basic physics rules. 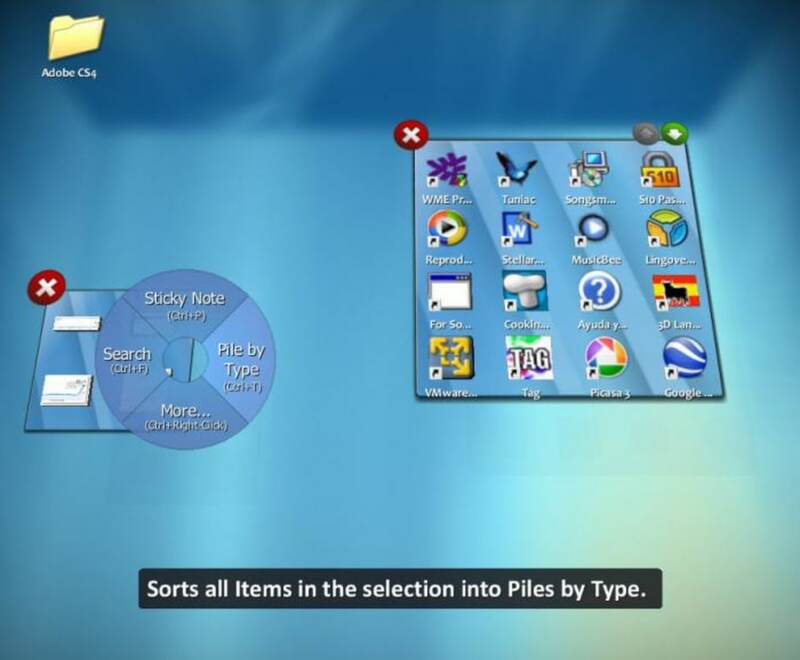 In this sense, files behave like real-life objects, which you can throw against windows, hang from walls and pile up in stacks according to different criteria. BumpTop's appearance is simply spectacular. 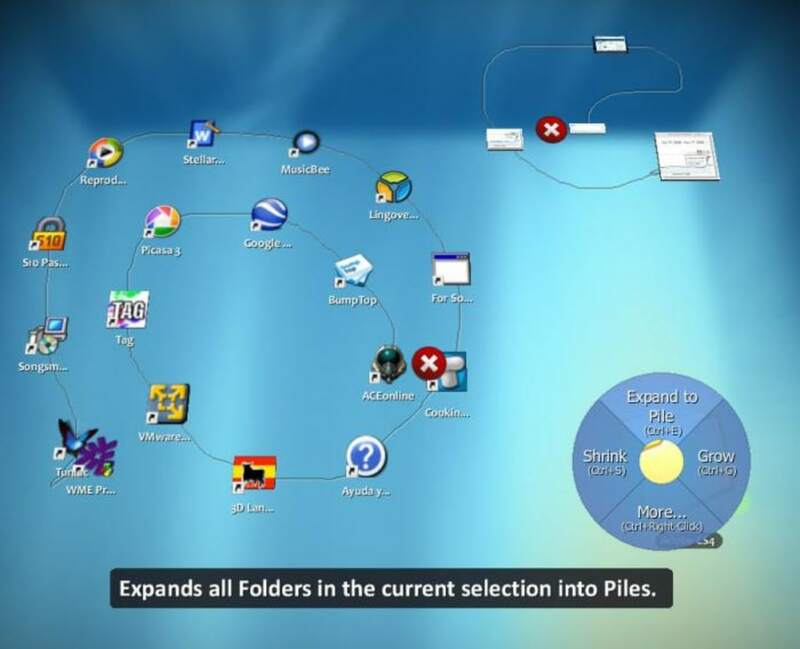 The 3D design is like nothing you've seen so far in desktop management. Managing files and folders like objects is fun. What's more, you can decorate the desktop with sticky notes, photos and also different themes. That said, the truth is that BumpTop is more beautiful than practical. Despite having some nice usability tricks, like being able to print a document just by dragging and dropping it on the printer's icon, I don't think a 3D environment is the most useful way to manage your desktop – not to mention the app's high system requirements. If you like original desktop environments and don’t care that much about usability, BumpTop is pretty much the best you can get. ofcos. Nice .Dint get user boring and .. hope more to come soon.. but must free.. rmb ? That always make human happy :D.
great program. works great and installs easy, people just need to make sure they install it properly, it's not like going to mcdonalds and ordering a burger, and no it won't crash any body's system, if you system bugs out it certainly is not the fault of the program, so do your home work. 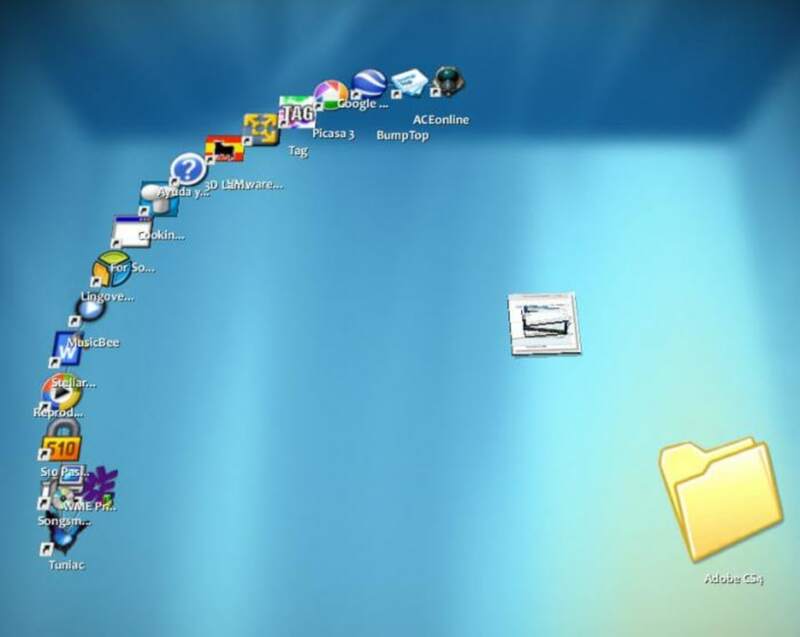 works great, something different and you can close it any time and go to your original boring desk top savers. nvidia also has a 3d chipset you can download and install and that makes things a whole lot better. What do you think about BumpTop? Do you recommend it? Why?